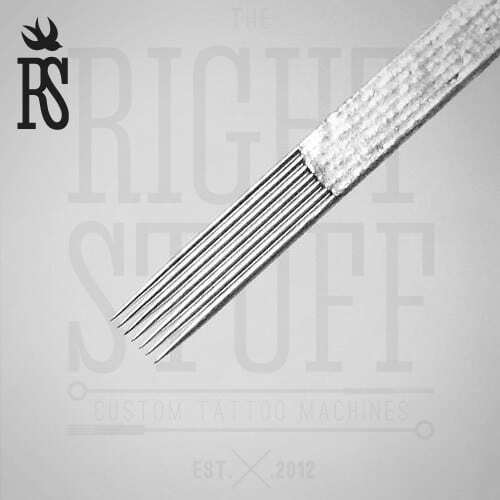 Even when a person that knows nothing about a tattoo art sees such a needle, he will call it “flat” for its shape. 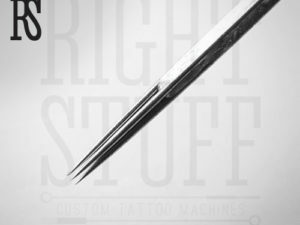 Used to perform dense feathering, applying fine lines, filling out a sketch or applying shadows, these 13F needles must be present among the tools of a tattoo professional. 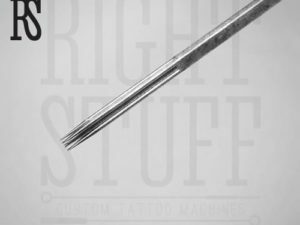 The length of 13F needles with base is 50 mm. Depending on the above, the needle is operated at an angle or flat (at an acute angle). Using this stuff a master can also draw hairs and short lines in one motion. When an artist works using with a plane needle position, he can make feathering over the entire width of the surface, while the needles edges serve for creating lines. Raising the needles and leaving one of them to work with is good for drawing hair. A master working with these needles must be extremely careful, as lateral movements can lead to skin cuts.